Not all motorcycle accidents involve other vehicles. According to the Insurance Institute for Highway Safety (IIHS), 1,797 (42%) of motorcycle crash deaths in the U.S. in 2014 were suffered in single-vehicle accidents. According to the well-known Hurt Report on a study conducted by the University of Southern California for the U.S. Department of Transportation, approximately 25% of all motorcycle accidents studied were single-vehicle collisions with fixed objects in the environment. After an accident caused by a negligent driver, that driver may be held accountable for injuries sustained by others. In the case of a motorcycle collision with a fixed or stationary object, it may be possible to hold accountable the parties responsible for the presence of the stationary object in or near the roadway. Responsible parties may include state, county, or municipal government entities, and you can rest assured that these entities will be well prepared, with teams of attorneys to defend against a claim. You deserve a dedicated legal team on your side with the skills, experience, and resources to fight for the compensation you and your family need. Our Phoenix motorcycle accident attorneys at Breyer Law Offices, P.C. are 100% committed to protecting the rights of our clients and fighting for every form of compensation, based upon the facts in the case. Like bicycles and cars, motorcycles can collide with vehicle doors when opened by occupants into the path of the bike, which is known as "dooring." Passenger vehicle occupants are seldom injured in collisions with doors opened in parked cars. Motorcyclists, on the other hand, may suffer serious injuries in this type of crash. According to the laws of physics, an object in motion tends to remain in motion. When a motorcycle collides with a stationary object, it may stop the bike, but the rider’s body remains in motion. A rider can be thrown violently from the bike and suffer serious injuries, or be fatally injured. The rider may also collide with and rebound off the fixed object struck by the bike. After sustaining serious or catastrophic injuries in a motorcycle collision with a stationery object, it is important that you have the ability to recover full and fair compensation to cover your medical expenses, lost wages, and other losses. At Breyer Law Offices, P.C., our Phoenix personal injury lawyers can investigate your accident, gather evidence, build a strong case, negotiate skillfully on your behalf, and fight for your rights in court if necessary. Contact us for a free case consultation with no obligation. We can be reached at (602) 267-1280. 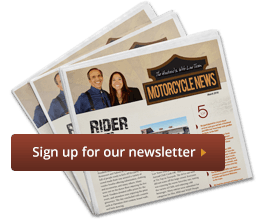 Phoenix Motorcycle Accident Attorney Disclaimer: The legal information presented at this site should not be construed to be formal legal advice, nor the formation of a lawyer or attorney client relationship. Any results set forth herein are based upon the facts of that particular case and do not represent a promise or guarantee. Please contact a lawyer for a consultation on your particular legal matter. This web site is not intended to solicit clients for matters outside of the state of Arizona.